This might be the best party to ring in 2014 to. 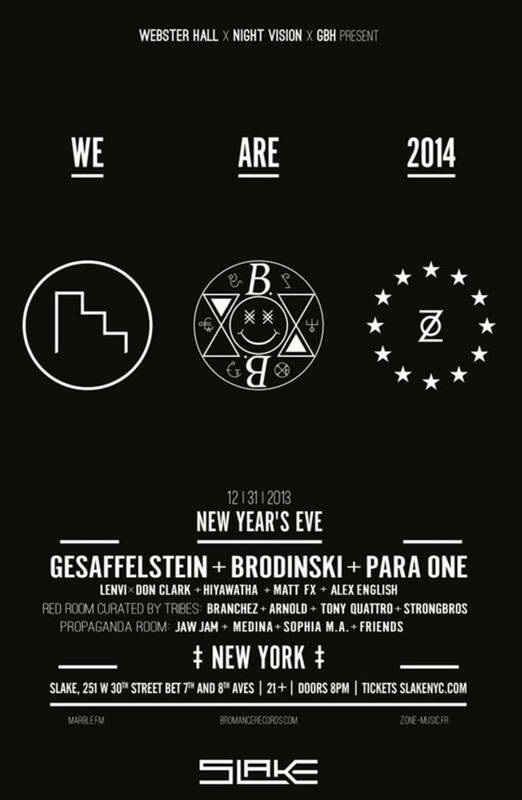 Taking place at Slake, We Are 2014 is a 21+ event featuring the likes of Gesaffelstein, Brodinski, and Para One in the main room, with the likes of Branchez, Arnold, and Tony Quattro in the Tribes NY-curated Red Room. You might not want to leave, you feel me? Tickets are still available, but DAD does have a pair of general admission tickets to give away to one lucky winner. All you have to do to enter is send an email to info@doandroidsdance.com with the subject WE ARE 2014 NYE GIVEAWAY. Please include your full name and have your entries in by 12/20/2014 9PM EST. That simple. Winner will be chosen at random. Good luck!